My wife and I were part of a group of 120 souls with differing types of fear and phobias. At the end of the course over 97% of us walked out having flown in a plane. We wish we had done it years earlier, now being in our 60′s it has opened the world in our retirement. The course was professionally run in an informal atmosphere with 10 participants allocated to a team leader who were there to answer questions, and offer reassurance, Our chap was Brian who was absolutely superb having the previous day returned from a trip back from China. I would like to say a big thank you for an excellent course and for helping me in overcoming my fear of flying. I have not flown for 34years and in all that time I have done everything possible to avoid getting on a plane, I have been aware that sooner or later I must do something to get rid of my fear and when my wife told me about your flying without fear course I thought this will hopefully be the answer. I attended on Sunday and found that there were lots of others with the same fears and anxieties and in some way this reassured me. I found that the information and the constant reassurance you gave helped me as the day progressed. The big test of course was the flight and I must say I was quite nervous at this stage, however after the flight I felt a great sense of achievement and I now feel more comfortable about going on a plane and look forward to going on a flight in the near future. Thanks again to you all, you are a great team. Why do people clap on landing? Some of the team were discussing this very thing recently. All of us were struggling to remember when the last time an aircraft landing had been clapped... One of the team said that on a recent flight back from Turkey, only one row of people clap as they landed. Were they particularly impressed with the pilot skills? Or, was it relief to still be alive?! Not sure why the practice stopped. If nothing else, it was nice for pilots to hear someone applaud their work. It takes skill to softly land an aircraft. Nowadays, behind the bolted Kevlar doors, the pilots have very little contact with passengers. Maybe, we should all bring back the clapping to appreciate these skilled professionals? Why don't you pack parachutes instead of life jackets on board? Unless you have been trained to jump out of aircraft, can you imagine how long and detailed the safety demo would be to use them? Would you really jump out of an aircraft and just land anywhere?! The safest place to be is on the aircraft with professionals trained to fly it. There are so many back ups and extra capacity built into commercial aviation, you are much safer with us than any other form of transport. 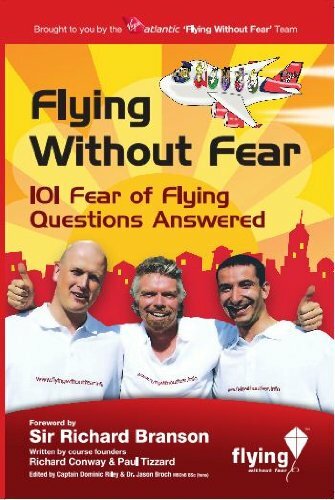 Flying Without Fear, 101 fear of flying questions answered. Written a few years ago now but still relevant. 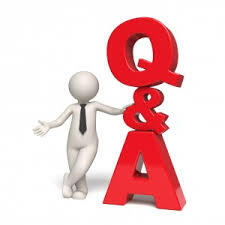 Contains a year's worth of questions we get asked most courses. Available on Amazon. VirginFlyingWithoutFear - this channel has some helpful videos and clips for you to reinforce what you have learned from our courses.